At just 18 years old, three young fresher females meet at university where life is full of fun and excitement but shared accommodation is somewhat extreme. Di is a sporty Lesbian studying business, Viv is a vintage loving Sociology student who is initially somewhat on the reserved side and Rose is a posh history of art student who is discovering her sexual liberation. The seemingly unlikely trio begin to bond, thus forming an apparently unshakeable friendship. Initially set in the mid 1980’s, we follow the three girls from teenagers on the cusp of adult hood to middle age as the play runs until the year 2010. In almost 30 years since the girls first met, the audience discovers what happened to the three young girls and how the many crises they have experienced has affected their friendship. 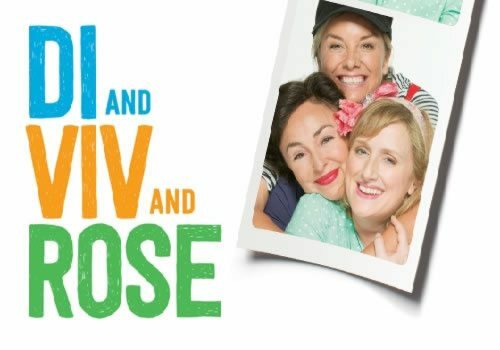 Di and Viv and Rose has run at the Hampstead Theatre on two previous occasions and now makes its West End transfer to the Vaudeville Theatre on the Strand, thus marking the Hampstead Theatre’s third West End in 12 months. Anna Mackmin directs original cast member Tamsin Outhwaite* as she reprises the role of Di for the third time. Samantha Spiro takes on the role of Viv and West End favourite Jenna Russell takes up the role of Rose. *Outhwaite will play the role of Di until Saturday the 28th March. Further casting is to be announced.